We've been to Pho Tam a few times, but some times forget about it because it is tucked out of the way on Leeds St, kind of behind the Little Saigon market. 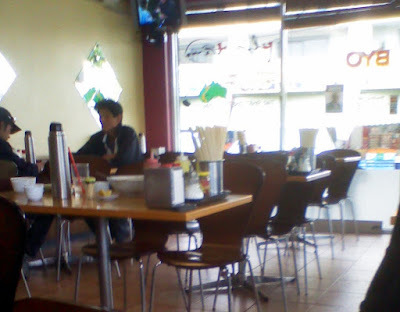 It is located on a corner and has windows all the way down both sides, and with wooden chairs and tables inside and chairs and tables set up outside, it has an almost cafe feel. Well I guess that could be because there are a lot of people drinking Vietnamese style coffee's outside. It was quite busy when we arrived for a late lunch, with a youngish crowd. 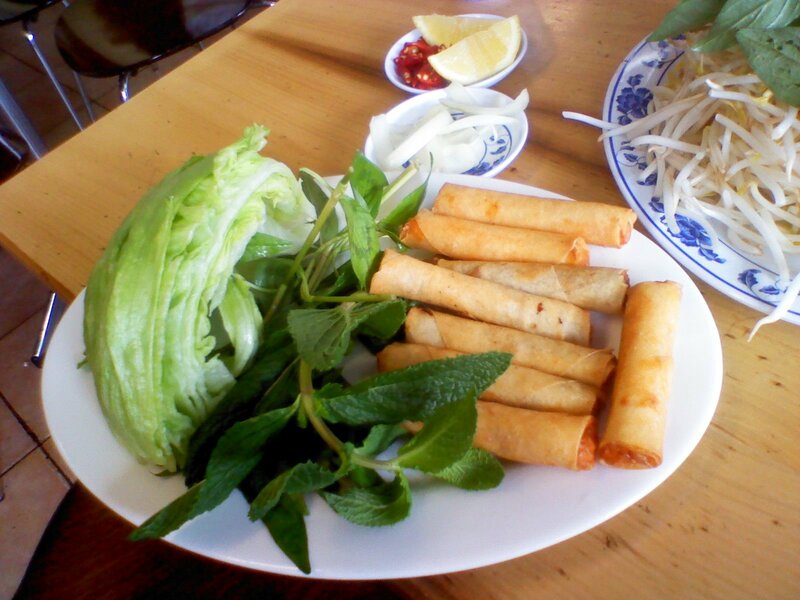 We had the mixed spring rolls to start. They came with the usual lettuce and herbs with a spicy dipping sauce. Both the prawn and pork fillings were tasty, and the rolls were crispy and well cooked, and the whole package wrapped up in the lettuce leafs worked well, the sauce was really quite spicy! 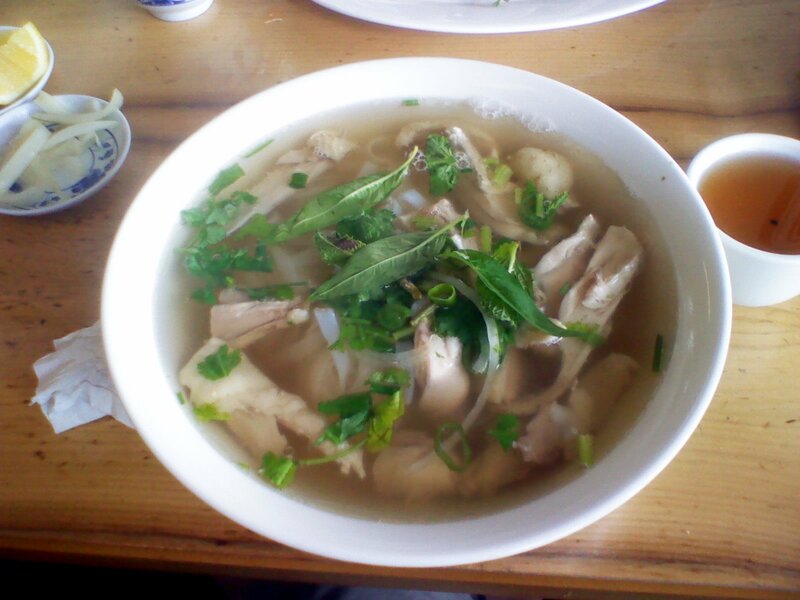 Of course we ended up going for the Pho Ga, which as you can see had plenty of chicken! The stock was pleasantly flavoured, but not too strong. There were plenty of herbs and bean shoots served on the side.